Our Basic Goat Milk Melt and Pour Soap Base is white and contains real goat milk, thought to be pampering to the skin. The two-pound tray is the perfect size container for projects making (8) 4 oz. bars of soap. The lid allows for unused soap to easily be stored for future use. "One of my fav bases"
COMMENTS: I bought this one for daily soap use and the lather it leaves is amazing, it really moisturised my skin. I have a tendency of having dry skin so this is great! I like the shea butter as well, but this is a harder soap finish. COMMENTS: This was my first time making any kind of soap products and I am very thoroughly pleased with this product!! The goats milk soap has a wonderful lather and leaves my skin feeling noticeably better. (even better than our town's local goats milk CP soap producer). Will be using again! "Melt and pour goat milk"
COMMENTS: Love how it made skin feel so soft and smooth. COMMENTS: I love this for MP soap. It doesn’t sweat and it doesn’t set up too fast. This base also fees great on the skin and holds a scent well! My customers love it! "Goats milk melt & pour base"
COMMENTS: I love this soap base! It’s of great quality and lathers nicely! I highly recommend it!! "Love Goats Milk base "
COMMENTS: Absolutely love the goats milk base. Very creamy and sudsy. People who have used my soap comment how smooth and soft their skin felt after using my soap. Very pleased with this soap base. Very easy to use and work with. • Nothing. Very happy with this product. COMMENTS: This is the best base I have ever used!!! COMMENTS: Such a rich and creamy lather- love this soap! COMMENTS: I use this melt and pour as a garnish on top of some of my bath bombs. A little water soluable dye, shea butter, and kaolin clay, paired with the Crafter's Choice lavender peach fragrance oil, and it pops right out of even the most delicate molds. Will buy again and again. "Goat milk bas thumbs up"
COMMENTS: Love this melt and pour base......makes a super nice bar of soap. holds scent nicely. Will definitely be purchasing more! 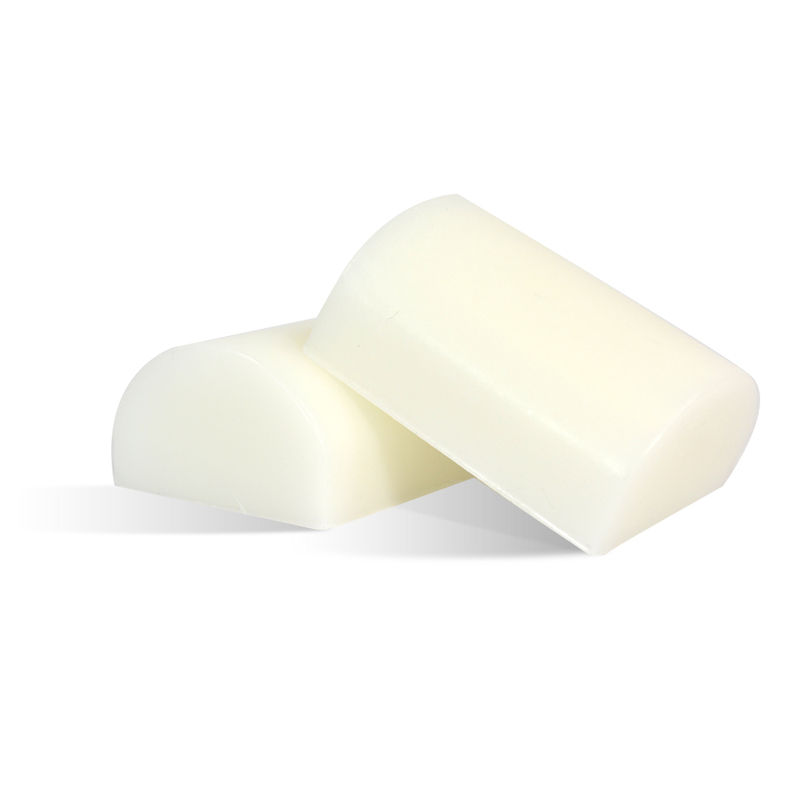 "Basic goat milk M&P soap base "
COMMENTS: I like this goats milk soap base. It's a little on the soft side but that makes for easy cutting. It was easy to use and took scents and colors well. COMMENTS: Nice size for working with. COMMENTS: Ive been using this soap for a few months now and i love it! It was a fun DIY and we'll be buying more! "Goat Milk a Man's soap"
COMMENTS: Made this for my husband and he will not bath without it. My grandson also loves it and goes through several bars already. It lathers well and leaves the skin soft feeling. "Goat's Milke Melt & Pour Soap Base"
COMMENTS: This was my first experience making mp soap. My only disappointment was the smell. It's not necessarily a repulsive smell, but it gives me a headache -- not sure what I can do with the 1 1/2 lbs I have left. COMMENTS: Love this product, makes a beautiful soap! 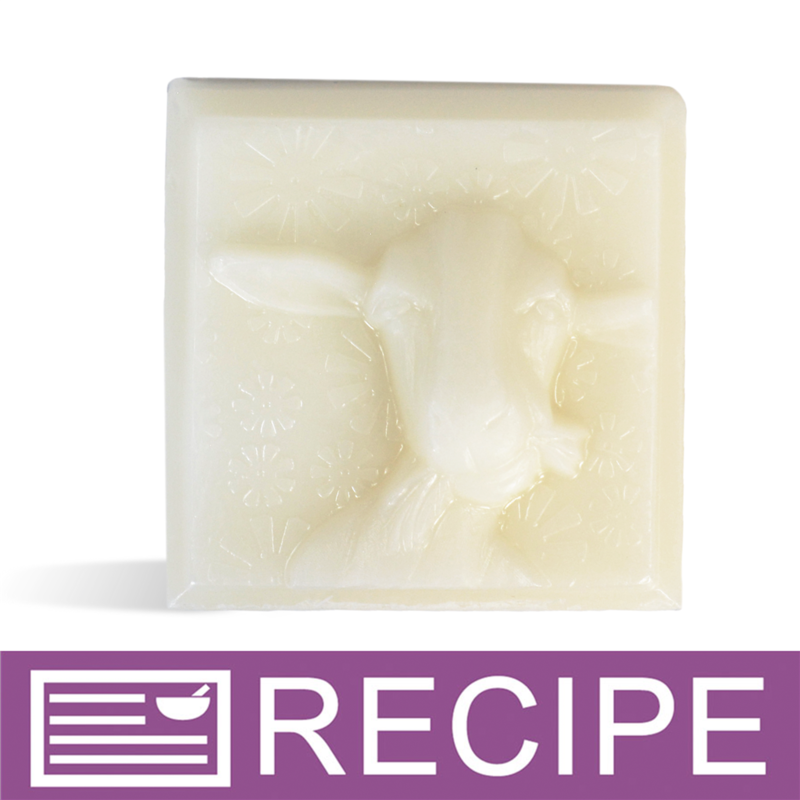 "Basic Goat Milk MP Base"
COMMENTS: This soap base is so versatile and easy to work with. It is an ivory or cream color, but colors very well. Holds scent well. Very good base! COMMENTS: As for me the goat's milk is the best if you are looking for a white base. COMMENTS: I absolutely love this product. I do feel it cooled quicker than other brands I have used but I can put it in a warm water bath and works fine.Thanks. COMMENTS: I use this mixed with the white soap base to make the majority of my soaps with. I put in a little of the pink sugar fragrance oil. It smells so nice and feels so good on the skin! COMMENTS: I've used both this base and the Premium Goatmilk. I can't really tell a difference. Both make great soap! COMMENTS: Lover this base. Melts great and seems to hold fragrance well. Very creamy and great lather. "My First Melt & Pour Soap"
COMMENTS: First time using melt and pour soap. I used my silicone muffin as a mold. Made this with colloidal oatmeal and almond oil. Came out amazing!! After using my skin wasn't itchy or dry. My skin was unbelievably soft. COMMENTS: Great base for all my mp soaps. Love it and continue to purchase it all year long. COMMENTS: This is so smooth and creamy with great lather, my skin loves it. Best M & P soap I've ever tried. "Crafters choice premium goats milk melt and pour b"
COMMENTS: This soap base is great! Easy to work with. Produces a thick creamy lather. Also my skin feels like I have already put lotion on straight from the shower. I love it! COMMENTS: I love this Goats Milk Melt & Pour Soap, it makes such a luxurious soap for my customers and the price is fantastic! It leaves hands so soft and is so easy to work with!! Will be back very often as my business continues to grow. Thank you for top rated customer service and products!! COMMENTS: I've ordered this goats milk base several times, always very nice. Lather is rich and very moisturizing for the skin. It holds color and scent extremely well. Will definitely continue to order. COMMENTS: The Goat's milk is rich and lathers well. "Will buy again soon! :)"
COMMENTS: I love how moisturizing and nourishing it feels! 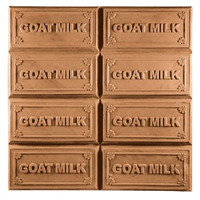 "GOAT'S MILK MELT & POUR"
COMMENTS: I've been ordering this product for years & never been disappointed.My customers love it. Thank you WSP for great products at affordable price.. COMMENTS: This is the first melt and pour base I have ever used. I can't believe how easy and convenient this soap was to use. It cut into chunks very easily. It melted beautifully. 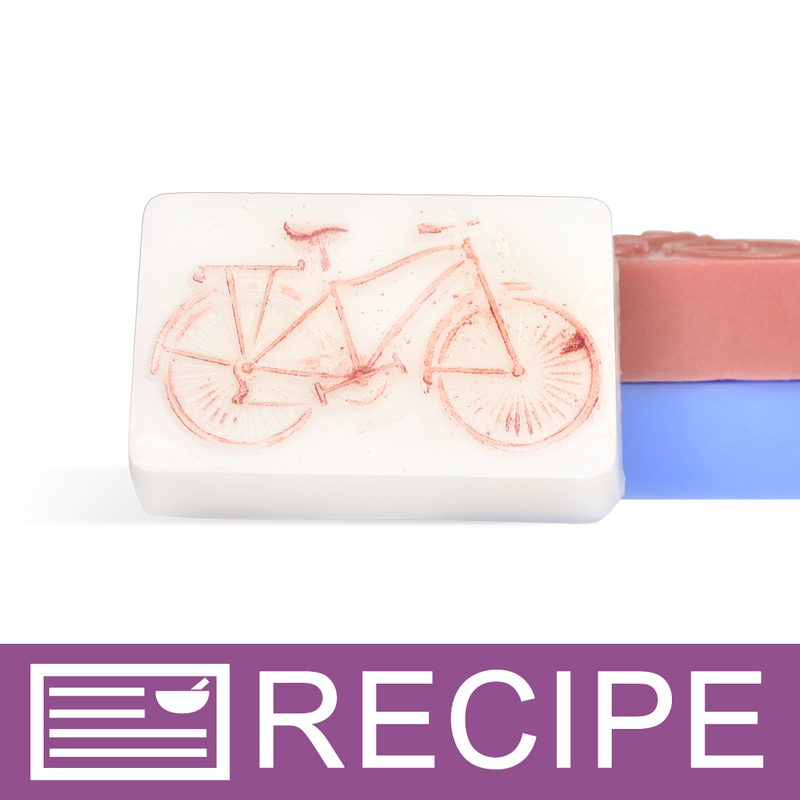 I was a bit sceptical that I would be able to make soap but this product made it so easy!!! "This is my favorite soap and best seller." COMMENTS: Absolutely love this product. "Goat Milk 2 lb. Trays. Basic MP Soap Base"
COMMENTS: A wonderful base. Low sweat. Goat milk hydrates and conditions the skin so it is soft and really silky. It contains natural protein, everything that is in the milk we drink but more. Wonderfully rich creamy lather. A very excellent melt and pour base for beginners or anyone who wants a great base and you are in a hurry and can not do your hot or cold process. • Leaves skiin feeling silky. COMMENTS: Just like it says, melt and pour. So simple to use and add essential oils. COMMENTS: This is one of my favorite MP bases to use. It takes both color and fragrances very well, lathers nicely and has a super faint, pleasant, creamy scent that does not interfere with FOs. My customers love it too! 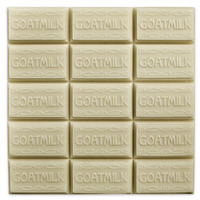 "Goat milk MP soap base"
COMMENTS: This base is so easy to work with and makes beautiful bars and molds! The bars can be packaged right after they are cut, no sweating. Holds scent and color Nicely. Leaves your skin feeling soft! Love it! COMMENTS: I love the Goat Milk Soap! I had a bar of it on the bathroom counter and my husband decided he would try it to shave with because he said it looked like what his Grandfather used to use. He was hooked! He said he would never go back to shaving cream again! I love to shampoo my hair with it because it makes it feels so fresh, clean & great for days(if I can go that long without using it---LOL). My hair was really long until I had it cut short at Christmas for "Locks Of Love". And to tell you the truth, I hated my hair short! But not anymore with the Goat Soap! And I actually believe it is making it grow faster. Probably because I'm not putting all those chemicals on it like I was before. Now my hubby uses it for his shampoo, too. Like others have said, it does hold it's scent well. I like coconut myself. • Gentle, takes scent well. • Everyone loves it !! COMMENTS: Love this one! Smooth, creamy, makes a great soap! COMMENTS: This base is so easy to work with and makes beautiful bars! I have not had an issue with sweating, and the bars can be packaged right after they are cut, in my experience. Holds scent and color well. Leaves a nice smooth feeling on my skin after its used! Love it! COMMENTS: This is one of my top 2 selling soaps. It is easy to work with and leaves your skin so soft without a "film" like some store bought soaps. My Nan uses it on my Pappy's face that is always breaking out and it has made a world of difference. COMMENTS: My customers love this soap! COMMENTS: My customers love this soap! Very emollient. • Love the feel of this soap. COMMENTS: Usually the melt & pours dry my hands a little. My hands felt silky smooth after using this. COMMENTS: Rich and great lather. Holds color and scents well. COMMENTS: This is my favorite MP base so far. It does not sweat. and it retains scents very well! the colors also come out very clear. My customers also like the 'goat milk' part of the soap. will buy again. "Basic MP Goat Milk Base"
COMMENTS: Wonderful lather, creamy and just cant go wrong. Very moisturizing. Great product. COMMENTS: I used this product and love it! I'm saving the rest of the base for other special projects! "Goat Milk M&P Soap Base"
COMMENTS: I've been using goat milk melt & pour soap base for many years. I love it. No matter what mold I use it always comes out great. I've never sold any soap that I've made. I get great joy from giving it away and everyone that I've given it too always tells me how much they like it. I've always gotten my supplies from Wholesale Supplies. Thanks for great products. COMMENTS: Easy to use and love the way it leaves my skin!! !Customers love it too!!! "Goat Milk Melt and Pour"
COMMENTS: This was a good soap for the price. "Absolutely the best base I have ever used!!" COMMENTS: Makes great popsicle soaps for the kids! COMMENTS: Love this product! My customer's do as well! It lathers nice, and leaves you feeling clean. Every fragrance I use with it does perfectly.. and colors very well using micas. I want to try different bases, but I love this one.. hard to venture out LOL! COMMENTS: My customers love goats milk soap! And this product is really nice. COMMENTS: This is a staple in my product line...everyone loves the quality and consistency of the goat's milk soap. Great price!
" My best base by far"
COMMENTS: I first started out using a whole collection of bases, but have gone to just a couple and this is my very best seller. I love this base hands down. It holds my scents well, lathers great and it leaves your skin so soft and feeling wonderful. no greasy film afterwards like store bought soap and no dryness..My customers love this base also and it is requested very often. I buy this on a regular basis from you guys. COMMENTS: I love this soap. I use it myself, give it as gifts, and also have sold some. I love the amount of lather it makes. The way it cleans your skin, and the way it makes your skin feel. Thank you for the "Natural" Product ingredients you have. Will be buying more. COMMENTS: I love this base it melts well, smells good, and makes awesome soaps. The soaps seem to be especially easy to un-mold. I am very happy with this base! COMMENTS: So silky and smooth and bubbly. COMMENTS: This was one of the first melt and pour soaps that I bought and it is great! I highly recommend this or the detergent free goat's milk soap if you are worried about sensitive skin. "Melts well and lathers very nicely"
COMMENTS: Used this product to make soap sugar scrub cubes. It melted very nicely and took colorant and fragrance well. Produced very cute sugar cubes! Great product. COMMENTS: I love this melt and pour! I have also made embeds with this and used in cold process soap! "Best Goat Milk Base I Have Found"
COMMENTS: Love this goat milk base! It melts well and takes scent and coloring easily. Unmolds super easy and does not sweat like the other goat milk bases I have used. My customers love the moisturizing properties for their skin. The only type of soap I sell! "Goat's Milk Melt and Pour Soap"
COMMENTS: This is the first time I have used this product and it was so easy. Alot easier then I thought it would be. "Nice alternative to Shea Butter"
COMMENTS: Typically I use Shea butter or Glycerine soap but tried this on the advice of a friend. Really rich soap, nice moisturizing quality. "Basic MP Soap Base - Goat Milk 2 lb Trays "
COMMENTS: One of my very favorite soap bases! Holds fragrance very well, and makes your skin feel very soft. "Very Smooth and Creamy Looking"
COMMENTS: This is my favorite MP soap base at WSP. It accepts colors and fragrances well, and it softens your skin very nicely! COMMENTS: I highly recommend this soap base. I add a little kaolin clay and fresh ground oatmeal to this for my soap. It's really awesome. It has softened my dry skin and feels great. My customers love this soap. COMMENTS: Seems to lather pretty well. Easy to use! COMMENTS: This is my fiancé's favorite! He loves everything goats milk because of it's amazing properties and he said this one was no let down! It melts evenly & pours really easily! I would recommend this to anyone with dry skin! I have many people ordering the GoatsMilk already! "Goats Milk Soap is Superior"
COMMENTS: I love this melt and pour soap. It is easy to melt, silky smooth and looks great even in complicated molds. COMMENTS: Got goats milk base because of the awesome skin benefits, but also because of the suspension (I like putting herbs and dried flowers in my soaps). It works perfectly and at an amazing price. COMMENTS: I LOVE this! I like it much better than the other soaps! It's very soft and creamy and it melts really well! COMMENTS: The Goats Milk 2 lb tray for MP process soap base by Crafters Choice that I recently ordered is a excellent product to use. Because it is easy to cut into small cubes for melting purposes and easily mixes well with other soap bases like Shea Butter and Olive Oil. This product also produces a good lather and colors well with soap colorants. I would definitely repurchase this product again for my future orders. COMMENTS: Love goatmilk soap! Super easy to use and takes color nicely. "bought this for a friend"
COMMENTS: I have a friend who has skin issues, any type of soap makes her skin itch. this was the only one we found that didnt do make her itch. Lovely! COMMENTS: This soap base is one of the best. It takes scent well and even smells good unscented, a clean soapy smell. It's my favorite for opaque M&P. COMMENTS: I love this soap and it is a best seller. It has a nice rich lather and holds scents well. I will order and reorder this blend. "Goats milk is so moisturizing! " "Creamy dreamy goat milk soap base"
COMMENTS: Goat Milk is a sought after ingredient in soap by many customers and I love the results in the bars made with this goat milk. They come out creamy and rich with a beautiful lather. 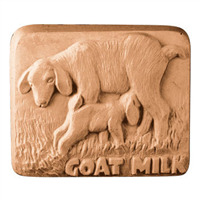 The goat milk soap is a delight to use, scents well and unmolds without a hassle. Many of my recipes depend on a full goat milk bar or goat milk in combination with other melt and pour. I wouldn't be without it. COMMENTS: This soap was creamy and luxurious. I made a batch and gave them to my family members who give me feedback, and they were unanimous about this being the best batch ever! I loved it myself. It was great for either face or body. COMMENTS: This is such a beautiful creamy soap. It has great lather and blends well with everything I have added to it. I haven't had any problems with "sweat", and I absolutely love it! COMMENTS: Mice product, leaves skin soft. COMMENTS: This soap is awesome! It leaves the skin feeling clean with a touch of moisture. "Hi there. I would like to order 48lbs of this. Does that mean it comes in 24 trays of 2lbs each?" "After unmolding my soap is sticky. Will it disappear? And could you advise me how to dry it, please? Thank you!" Staff Answer Be sure you are adding fragrance within the correct IFRA guidelines. We recommend 3% on an average but you can go as high as 6%. If the soap was placed in the freezer, this can cause moisture or tackiness on the soap. Let set out until it is back to room temperature. Also, you can spritz soap with rubbing alcohol and pat with paper towel. "Can I add colloidal oatmeal to this Basic Goat Milk MP Soap Base? If so, what percentage?" Staff Answer Yes, you can add this to your MP soap. The recommended use levels for soap is 1-10%. "Is it a standard rule of thumb to add 14 ml of all fragrances to each lb of this soap? " Staff Answer Maximum fragrance usage for MP soap is 3%, which is 14.5 ml or 0.5 oz per pound. As long as the fragrance used has an IFRA rating of at least 3%, you can use this much in your soap. "Why must the fragrance oil be 0% vanilla? The oil I want to use is the black cherry merlot, is there is melt and pour recipe this would work for? Or any soap recipe this oil will work in? Thank you"
Staff Answer You can use any fragrance oil in our soap bases. If the fragrance oil contains vanilla, we recommend blending with the Vanilla Color Stabilizer for MP Soap to help keep the soap from darkening. "Is this soap base made in the USA?" "What percentage of this soap base is actual goat's milk? Is the goats milk organic? Is there an alternative base sold without the other added chemicals?" "The ingredients listed: Propylene Glycol, Sorbitol, Water, Sodium Stearate, Sodium Laureth Sulfate, Sodium Laurate, Glycerin, Goat Milk, Titanium Dioxide. Is there a way to covert each ingredient to an easier word. I looked up each word but I can't seem to find out what each ingredient is. I need to put on labels but I dont want to list all those larger words. Any help would be appreciated.! " Staff Answer The ingredients are listed by their proper chemical, natural or scientific name. If there is an acceptable abbreviation, it would also be listed along with the proper name. It is best to spell our the entire scientific name on your label so that there is no confusion for your customers. "What do you do after you pull it out of the mold.As my last ones sweat badly." Try to sit them in a cool dry place to minimize moisture and sweating. Its best to wait a couple weeks before wrapping them, to prevent moisture being trapped inside. Hope this helps! After I unmold my MP soap I wrap each soap individually. This helps with sweating. i keep mine in the molds for at least 12 hours after the soap hardens. then i wait about 24 hours and put it in a shrink wrap bag. i live in a very humid climate and this process has worked the best for me. hope this helps and good luck! I put mine in front of a fan on low for a few hours. "Is the glycerin ingredient plant or animal based?" Staff Answer The glycerin used in all our soap bases is vegetable based. "How Is the suspension of this soap? I want to add coffee grounds to make a cafe latte exfoliating bar, will this soap work for that?" Staff Answer No, this is not a suspension soap base so the coffee grounds will not suspend throughout the soap using the Goat Milk soap base. It will not suspend throughout the soap, but will sink to the bottom. It will appear on only one side of your bar. If you prefer it to suspend throughout the soap, we have a suspension soap base that works great. It is called Crafters Choice™ Signature Suspend White MP Soap Base. In case you are interested, the suspension comes in clear as well. "Is this safe for use on the face? and if so what is the recommended amount of fragrance? " Staff Answer This soap works great on the face. I don't like to use more than 1-3% of scent in facial soaps. You will need to check the IFRA sheet on the fragrance first. "Does this soap base have any smell to it? I am looking for a Goat Milk base with no scent." Staff Answer This soap base does not have any Fragrance added to it and does not have a strong natural goat milk scent either. this soap has no scent from what i can tell, takes fragrances very well. one of my favorites. "Is it necessary to add a preservative to the base for resale?" Staff Answer Hello Christal, Thank you for your question. Our MP Soap bases contain a properly balanced preservative system that will allow for the addition of fragrance oil and a small amount of additives. If you are exceeding the recommended maximum for additives you will need to add additional preservative. As long as you stay within the recommended maximums you should not need to add any additional preservative. "Is it ok to melt this soap in an aluminum pot?" Staff Answer Actually, we recommend either a stainless steel pot, using the double boiler method (so that there is not direct heat). Or placing the soap in a glass mixing bowl, or measuring bowl with a pouring spout (like a Pyrex measuring cup) and placing it in the microwave to melt. "Can anything be added to the Melt and Pour Soap to make a harder bar?" Staff Answer Some people add 1 Tablespoon of stearic acid per pound of MP Soap Base. To do this successfully, you would need to melt the stearic acid and then melt the soap. When you add the two together, melt them individually and mix them together at 160-165º F. This is important in preventing the stearic acid from re-solidify into wax like drops throughout the soap. Any time you add stearic acid to clear soap it will impact the clarity and make it cloudy. "Does this soap base have a creamy color like the other goats milk soap or is it a true white?" I purchase this base quite frequently, and it is a slight cream color, not a true or bright white.